Hi, this is Magali reporting for Team El Chucho in the Volcanoes of Ecuador for Wednesday, August 7th. 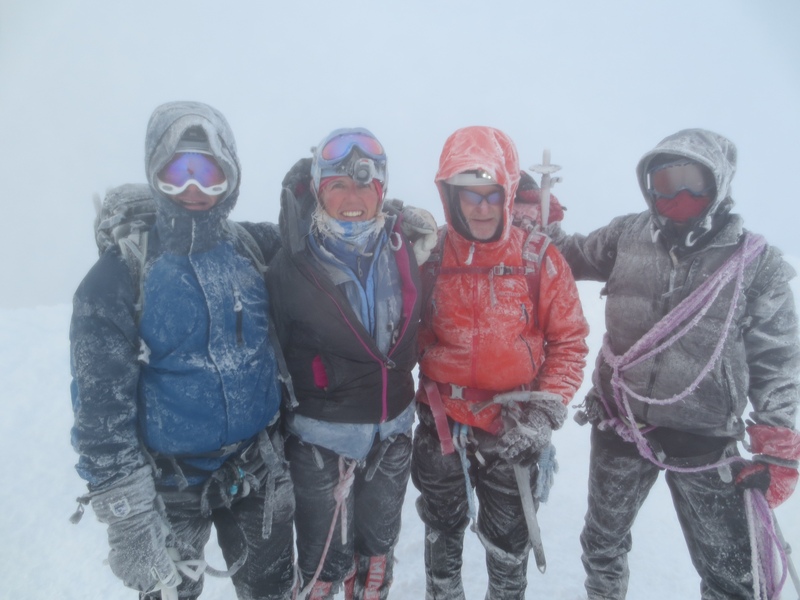 Yesterday we hiked with our mountaineering gear to a hut located (at 15,750 feet or 4,800 meters) at the base of the most coveted mountain in all of Ecuador, called Cotopaxi. Cotopaxi is 19,350 feet or 5,900 meters high and is the world’s third most climbed mountain after Mount Kilimanjaro and Mont Blanc. Last night we watched the sunset color the summit of the mountain; the weather was clear. We had an early dinner, went to bed early right afterwards, woke up at midnight, and eight of us at that time set off to summit the mountain at about one in the morning. The climb started with scree which is the loose rock and sand, then a glaciated section, followed by another section of scree mixed in with ice, before reaching snow until the summit. Our route wasn’t named “Heartbreaker” for nothing. 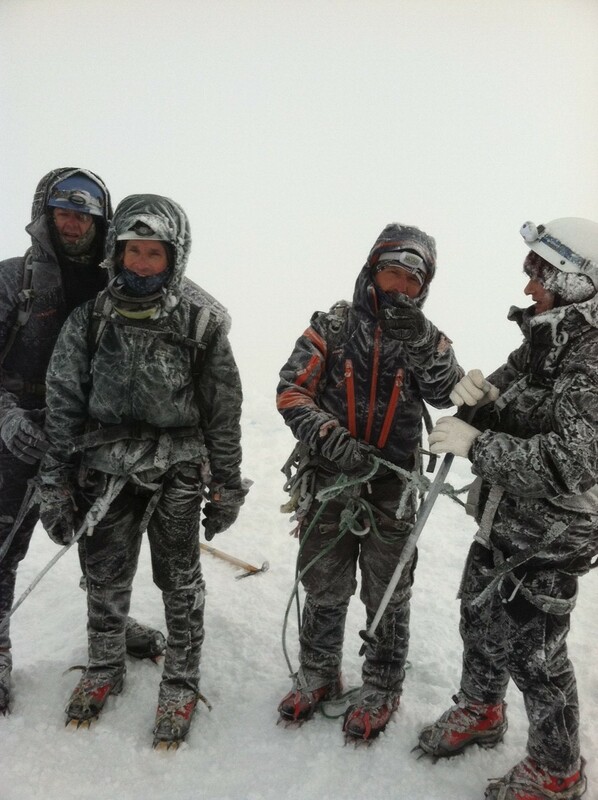 Seven of us summited in blizzard conditions with snow falling and winds raging about sixty miles per hour. The descent was a challenge for our tired bodies. We ended up staying in a wonderful lodge for a well-deserved rest and recovery. 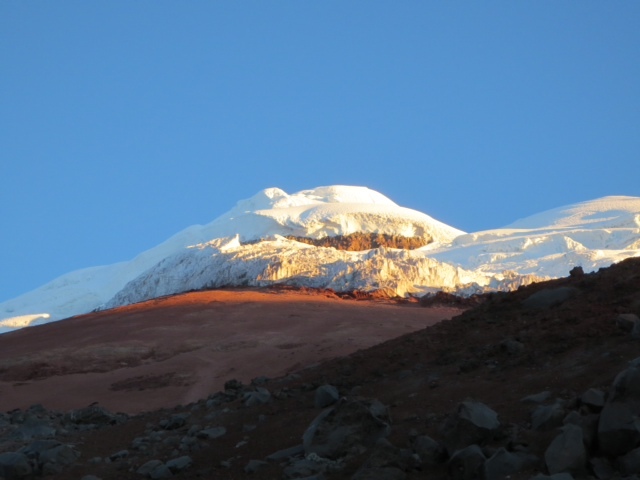 Our next and last climb has us ascend Chimborazo during the overnight Friday through Saturday. Chimborazo is the highest mountain in Ecuador (stands at 20,400 feet with 6,300 feet). Until then we’re just doing R & R. Cheers! Talk to you later.